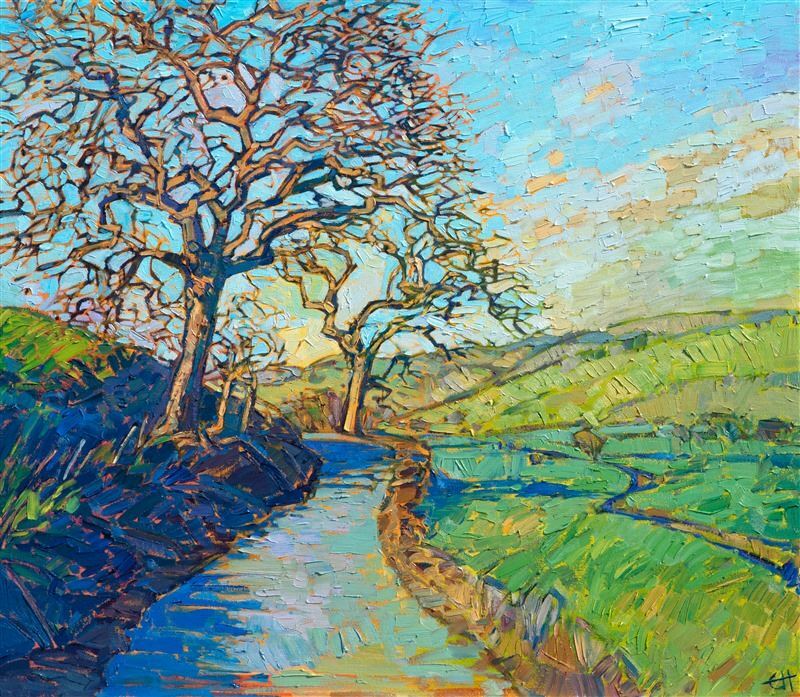 The Erin Hanson Gallery showcases the bold and vivacious oil paintings of San Diego-based artist Erin Hanson. 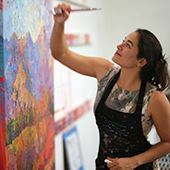 A blend of modern expressionism and classic impressionism, Hanson's colorful and unique landscape paintings bring new life to the contemporary art scene. 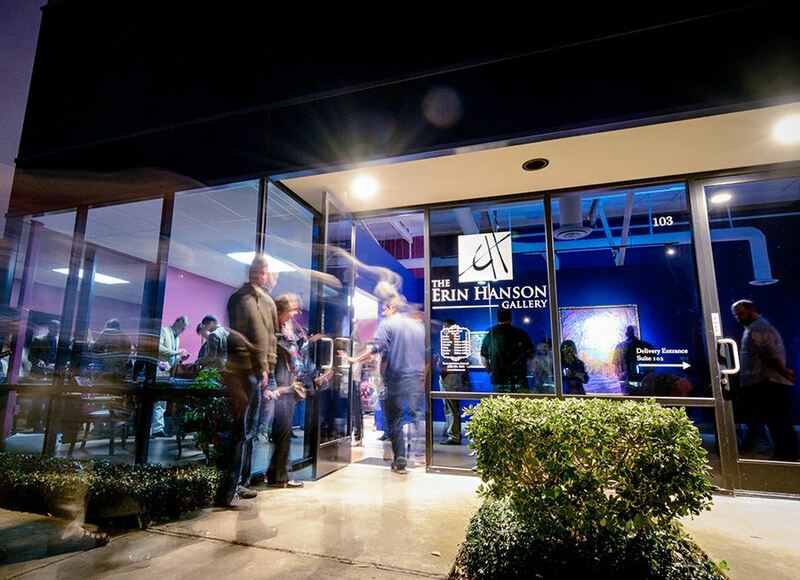 The Erin Hanson Gallery is located in central San Diego, off Miramar Road. 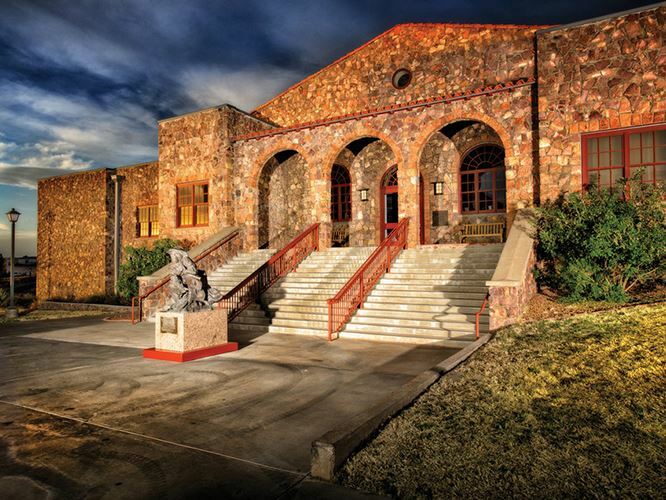 We are open to the public Wednesday through Saturday, 10am to 6pm. We are also open by appointment: please contact us to arrange a private viewing of Erin’s works. Open Impressionism is a new style and movement that has sparked fresh enthusiasm for contemporary impressionism. 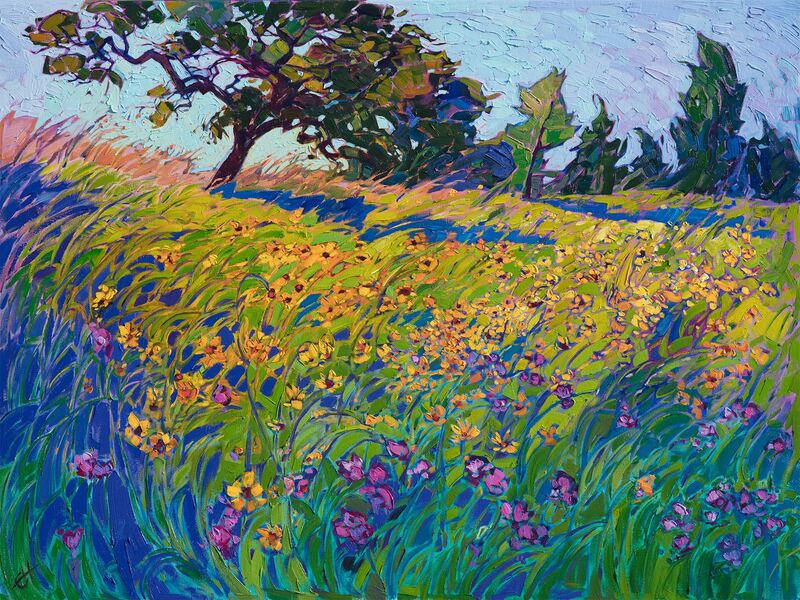 Developed by Erin Hanson, Open Impressionism is characterized by wide brush strokes applied without layering and intense, vivid color. Open Impressionism is being taught in art schools and colleges across the world as a contemporary art style. 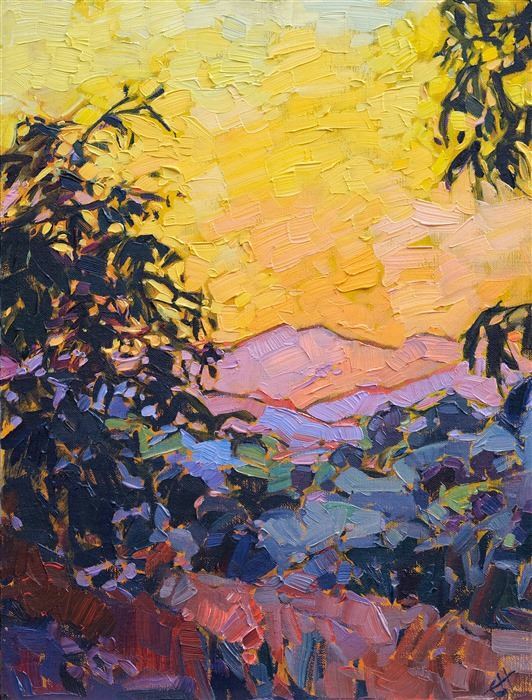 Join Erin Hanson's weekly newsletter to see her newest paintings fresh from the easel, read articles and insider-only blogs written by the artist, and get inspired! A pair of ocotillo stand blooming in the southern end of Joshua Tree National Park. 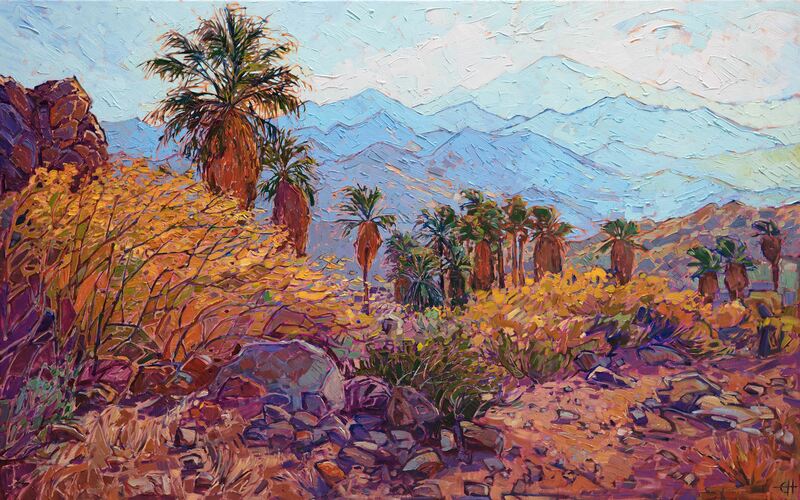 The early morning light casts sheets of warm color across the desert landscape. Each brush stroke seems to revel in the beauty of the outdoors. Visit the “Petite Collection” page to view Erin’s smaller works that are under 20 inches. These collectible paintings arrive beautifully framed and ready to hang. Read feedback and reviews from Erin Hanson's fans and collectors. 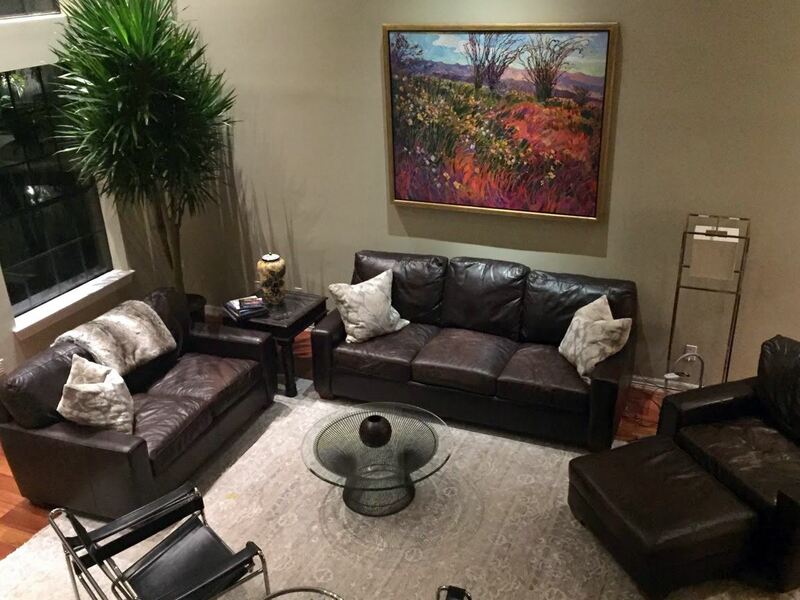 See how Erin Hanson paintings are beautifully displayed in collector's homes across the world. Erin’s newest coffee table book is out! 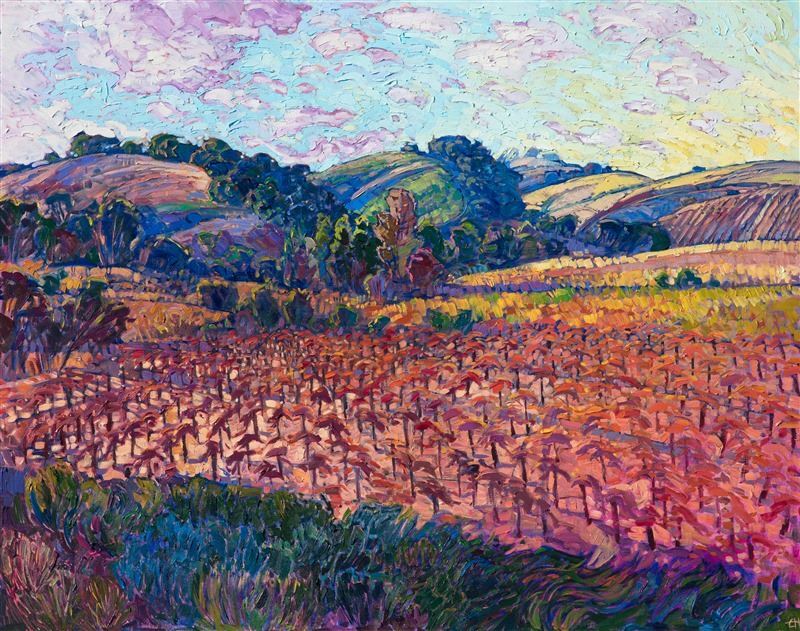 Wine Country: Impressions in Oil (2018) contains over 300 paintings of lush vineyards, rolling hills, and iconic oak trees. The Erin Hanson Gallery invites you to a special art event on Mother's Day weekend. We will be releasing Erin's new colletion of works, The Floral Show. The new collection will focus on floral landscapes and rare still-life paintings of the artist's favorite blooms. We hope that you will join with us in this celebration of life and art! All mothers will receive a special gift. 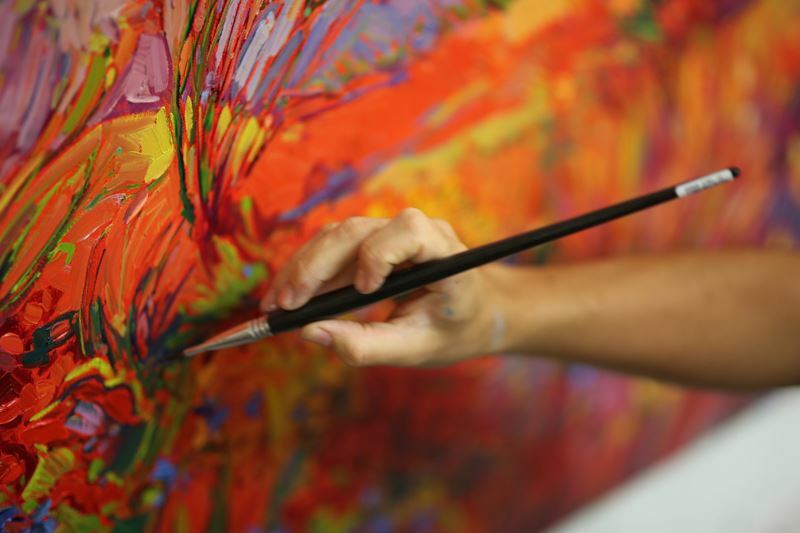 Join us for an evening of art, wine and live music at The Erin Hanson Gallery. All are welcome to attend! 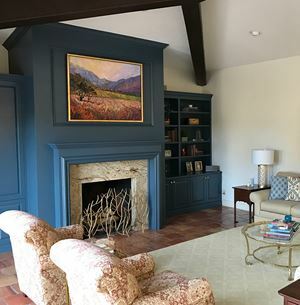 Visit Erin's blog for a wealth of articles written by Erin Hanson and guest authors including biographies, interviews, adventure stories, in-depth painting looks, interior design tips, events and collection releases, news articles, and much more! Visit the "Wine Country Collection" to view Erin's newest paintings that were inspired by the idyllic landscapes of Paso Robles, Napa, and other wine country regions across the U.S.
Erin Hanson has developed a unique style of painting known as Open Impressionism. This coffee table book shows the progression of Erin's style over 300 pages of full-color images. 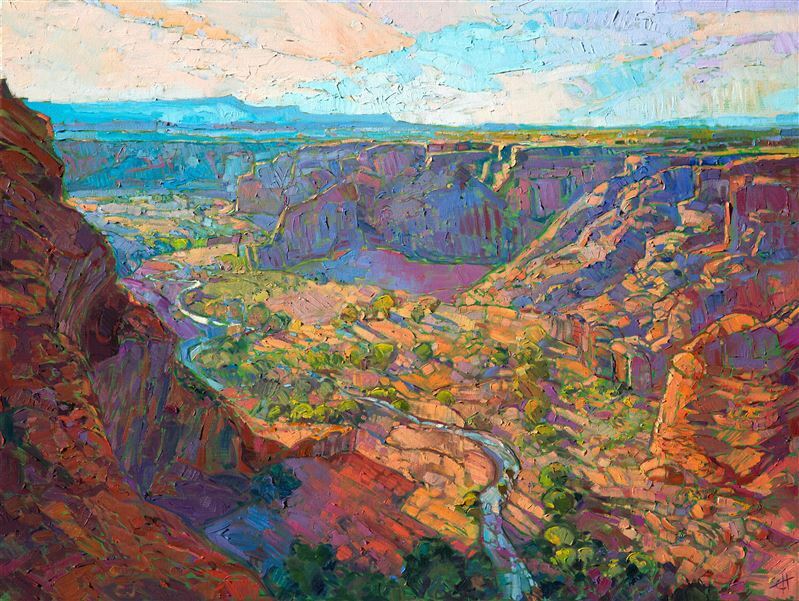 Explore the beautiful landscapes and sun-drenched colors of the West through the eyes of contemporary impressionist Erin Hanson, and experience the evolution of Open Impressionism. 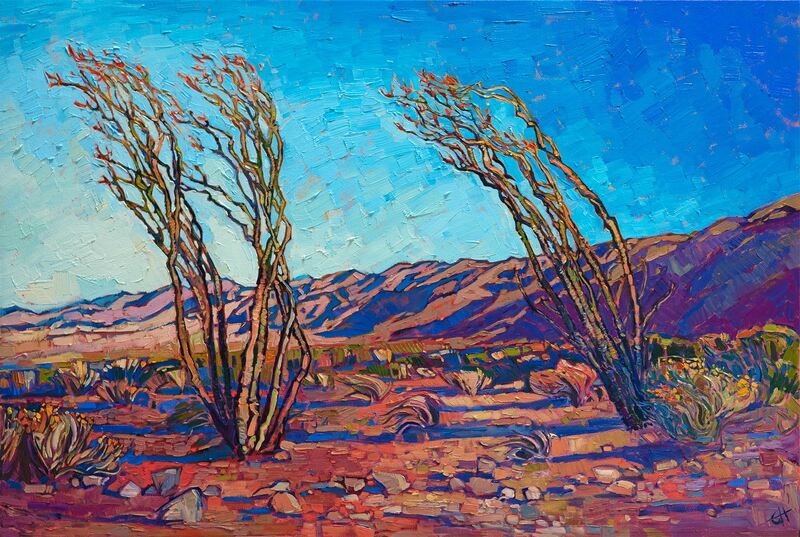 Erin Hanson's paintings have been shown in 10 art museums across the United States. 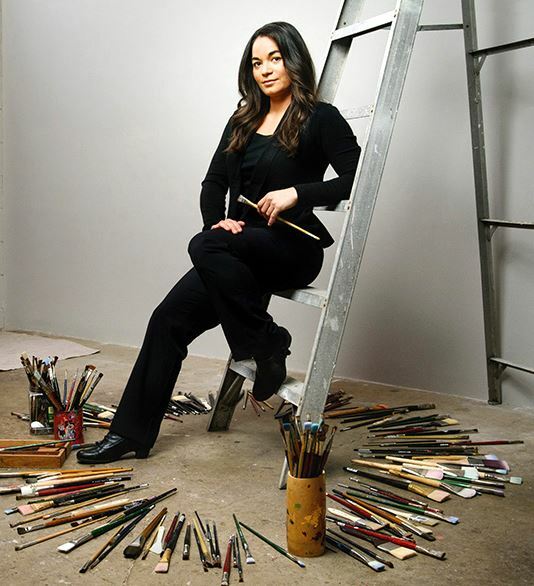 Along with several group exhibitions, she has had two solo exhibitions (both were sell-out shows), with a third solo show scheduled for 2021, at the Santa Paula Art Museum in Ventura County, California. 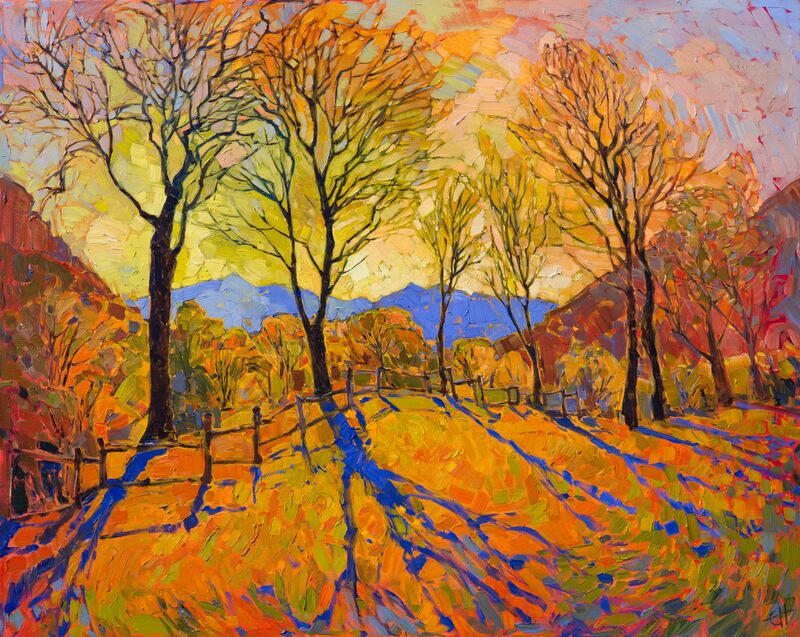 Watch this video about Erin Hanson and her style of painting, known as Open Impressionism. 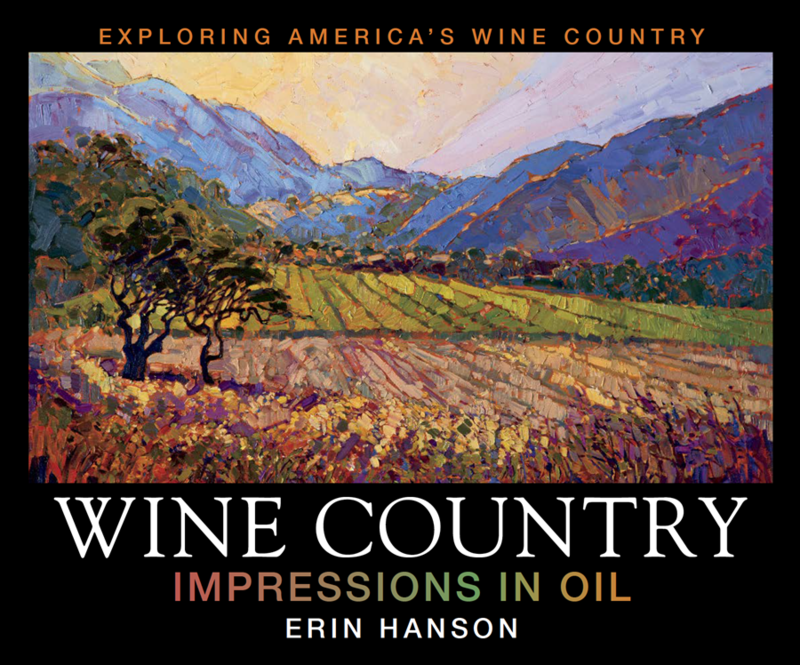 Watch the video about Erin Hanson's newest book release: Wine Country: Impressions in Oil. We would love to hear your opinions about art! 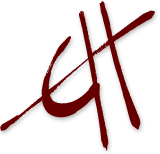 Answer this fun 7-minute survey and you will be entered into a free monthly drawing for Erin's new coffee table book Wine Country: Impressions in Oil. Erin explores the wilderness as a rock climber, backpacker, and photographer, gathering reference material to use in her paintings. She seeks out the isolation of deserted locations, surrounding herself in natural beauty, and she also finds inspiration by exploring our National Parks and wine country regions. Read about her adventures in the Adventure Series Blogs.